On 1 September, HugeServer announced its new Virtual and Cloud service providing company called Cyanode. It offers cloud hosting plans including virtual private servers (VPS). Using HugeServer’s infrastructure, experience and technology we aim to target the special segment of the market that has different requirements which are simplicity and affordable services. We didn’t reinvent the wheel, but we have made the life easier for system administrators and developers by creating useful and pre-configured templates such as OpenVPN, WordPress, etc. Cyanode is simple and flexible and it has been our concern to be since the first day. We highly focus on end-user experience and simplicity of use. Clients can easily choose how many resources do they need and save money. Services can be easily scaled or migrated In the blink of an eye. Cyanode allows clients to choose between different Linux distributions or our own pre-configured templates. We are happy to announce our new facility in Meppel, Netherlands. It’s our first expansion to Europe and we will offer all our services in our Netherlands datacenter. We expanded to Netherlands because it’s one of the best-connected countries in Europe. Netherlands is the perfect location for whom demand no-compromise low-latency access to markets across the EU including the Netherlands, France, Germany, and Scandinavia, as well as adjacent nations. HugeServer’s network in Netherlands is directly connected to AMS IX (+800 members) and DE-CIX (750 members). More information about the datacenter and network can be found here. I believe the new Logo design was a necessary step for us to take the feeling and company image to the next level. At the same time, we redesigned the entire website and introduced new products and services such as Hybrid and Virtual Servers. I appreciate everyone in the development department whom helped to make this long process happen. Looking forward to 2017, HugeServer plans to expand geographically and improve its automation systems with focus on user control and service provisioning. HugeServer WHMCS Module for Resellers Released. We’re proud to say our module for WHMCS v6 is released on Github. The module mostly is designed for resellers with WHMCS as their billing system so they can provide their customers control over their servers. The module has functions on both Admin and Client portal. Documentation and Installation guide can be found on Github. If you have any question regarding the module or trouble installing it don’t hesitate to contact us at support@hugeserver.com. We are very pleased to announce that the new version of our Control panel, ION. This version includes new features, bug fixes and RESTful API! 2014 was a big year for HugeServer and majority of what we had planned last year is achieved by now and we will assure you that every year that passes by we get where no one expects us to be! Expansion to 3rd Los Angeles Datacenter: opening our 3rd datacenter has been the best goal we achieved in the year. Now we’re able to provision more servers in a quick time backed by our big inventory. Optimizing network for Asia: we value all customer and always try to provide the best service to them. with growing service demand from Asia we decided to optimize our network for the least latency to Asia pacific. Full Juniper Network: upgrading our whole network router and switches to Juniper equipment. this upgrade will improve network uptime and reliability our customers. ION: our full- featured brand-new control panel for managing your server and infrastructure easily. we will continue to develop the control panel for more automation tasks. ION API: ION API is here for developers who wants to access ION features in their application. ION Reseller Control Panel: one month after launching ION we launched our new white-label control panel for our resellers. Now they have more flexibility to control their branding and access lists through their reseller control panel. NOC Improvement: our NOC department has now more monitoring tools to prevent and detect any network outage and attacks in a short time. Full-time Development Team: we hired a team of professional full-time developers and we look forward developing new stuffs for our customers. We always look forward to improve our service and quality in any term and have some big announcements for 2015, which we cannot wait sharing them with you! After a month of releasing first version of ION, We have been working hard on a new release which had been published today featuring VPN Automation and Reseller Control Panel and for sure security fixes ! Usually, the easiest way to install OpenVPN Client on a Ubuntu / Mint / Debian machine is using APT-GET . After installing the client on your machine and having the connection file along your Username and Password you are ready to How to connect to HugeServer VPN on Linuxconnect ! Make sure that you enter the correct file path on the command. Now it prompts for your Username and Password, after the authentication you should be connected to our VPN network. Free upgrade to triple bandwidth ! We appreciate our loyal customers that stayed with us for such a long time , and decided to add some value to current and new servers that will be ordered until 30th November. Any Dedicated Server customer can contact our sales department and have his/her servers bandwidth upgraded to triple amount! This will significantly help customers that had bandwidth overage on previous months . Please note that if you’re about ordering a new server , you may see 10TB on the order form but we will set it to 30TB as soon as you claim it to your account manager. 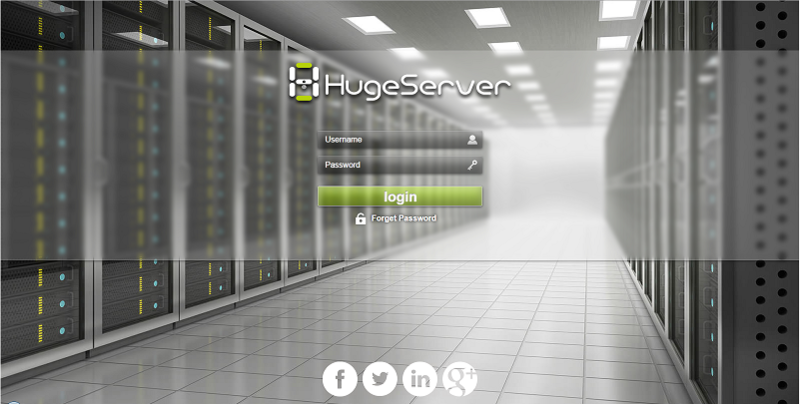 You sales department can be reached by the email sales@hugeserver.com or calling 888-842-8570. We appreciate your business and look forward to serving you in the future. Announcing ION Control Panel ! Our Development team has been working hard to develop a control panel that let customers manage their servers easily on any device and work with support , manage bills ,etc . Key features of the control panel for managing servers are : Soft and Hard Reboot , Periodic Bandwidth Statics , Real time Bandwidth Graphs , rDNS Records , Private Network connection , On-Demand KVM Console , IPMI . Server re-installation , Adding Extra IPs and more ! General feature including managing sub-accounts with comprehensive access-list , generating API tokens , manage billing and accounting , make emergency request to support department , see account login history and much more ! We have released ION API 1.0 , The web service and application programming interface that helps our customers to do automation on their end with any programming language . The document can be found at the control panel. This release is considered as first and the team will continue to develop new features for our customers.